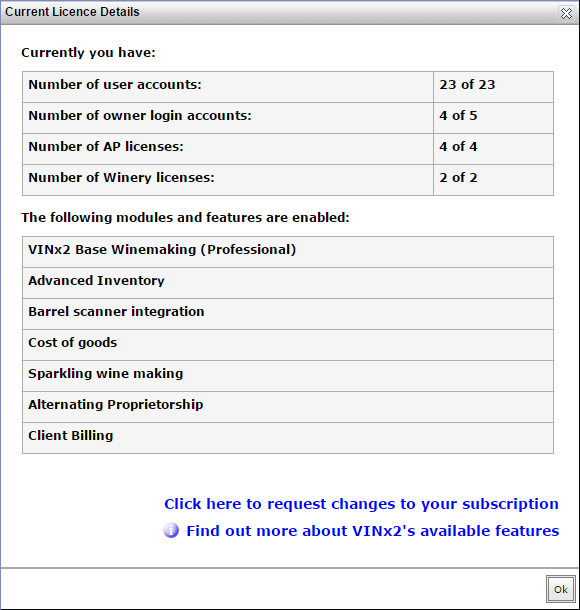 You can now view your subscription licence details from within the system and request additional system users and modules to be enabled. This request will first be reviewed by our sales and accounts teams to ensure any additional charges are acceptable to you. 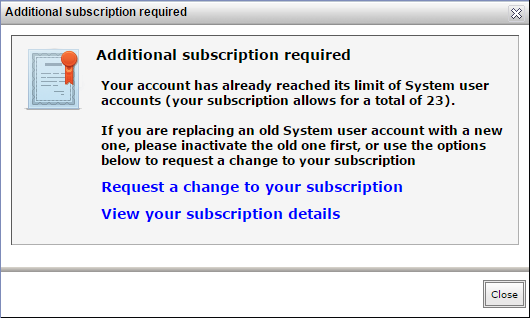 If you require additional licences, select the option to Request changes to your subscriptions. Nominate the number of additional licences or modules being requested, add any additional comments before confirming your contact details and clicking OK. This will send our sales and accounts team a direct message and they will provide you with a quote for the increased costs. If you attempt to add a new user via the Address book you may be notified that your licence count has been reached. You will be provided the option to request additional licences or you can deactivate any user account you no longer require. For simple add on requests for new system users, new AP02s (US ONLY) or Owner Logins, Support can give you a quote; just call or email. All other add on/upgrade requests will be handled by our Sales staff. You are able to name a power user within your system who has the ability to manage system users, including those linked to client login (owner) accounts. This person will require the Local vintrace Administrator privilege to be added to their account under the Address Book. Please contact Support to nominate this user if it hasn’t already been configured for you. 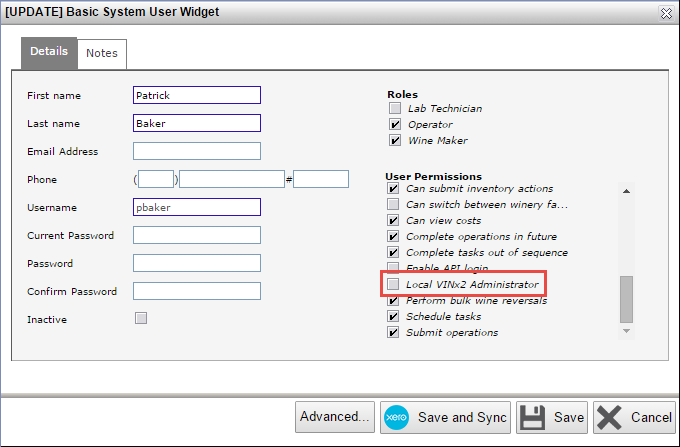 We recommend that a second user also have the Local admin permission as a back up to the primary. Please note: If you have deactivated a System User, Owner Login or AP02 account, you may be able to use this “freed up” license to add a new System User, Owner Login or AP02 account without incurring any additional charges. The exception to this is if you had requested, at the time of deactivation, to have the license charges removed; you will need to start from scratch by requesting a modification to your license and billing. 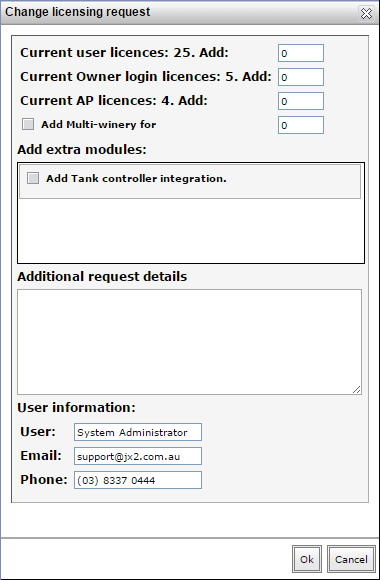 For information on creating and managing System users, Owner logins and AP02's, click here.